M’s Trading has supplied used tires from Japan to dealers around the world for over 20 years. Some 3000 – 5000 used tires acquired at our stores and by pick-up nationwide are exported each month via container ships. 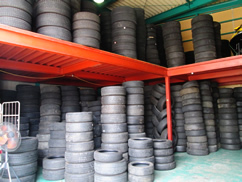 Anyone seeking used tires from Japan for use overseas, please contact us. Besides our main market in New Zealand, we deal with Australia, Russia, Mongolia, Ghana, Dubai, Bolivia, and other countries. Continuous reliable trading with numerous global clients enables us to purchase at high prices. Also, direct dealing eliminates the middle man, so that neither our clients nor we pay brokerage fees.